Hoping to revive upstate New York’s sluggish economy, Governor Andrew Cuomo has poured billions into subsidies for Corning and other businesses. But the resulting job growth has been modest. This story was co-published with Investigative Post. Rita McCarthy could finally relax. After months of speculation and negotiation, strategy sessions and late-night phone calls, Corning Inc. announced in the spring of 2013 that it would expand its factory in Erwin, New York, where McCarthy serves as town supervisor. Corning is the largest employer in Steuben County, within the economically struggling region of western New York that stretches along the Pennsylvania border, known as the Southern Tier. Assuaging McCarthy’s fears that it would build the factory overseas, Corning promised to invest $250 million in the facility and create 250 jobs. In exchange, the company received a package of state and federal tax credits, local property tax breaks, discounted power and grants worth a combined $85 million. All told, each job will cost taxpayers $340,000. Whether that’s a good deal for New York depends on who you’re talking to, but such subsidies for upstate businesses are increasingly common. New York is spending more than ever in the name of economic development — $8.6 billion last fiscal year alone, according to an estimate by the Citizens Budget Commission, a nonpartisan group that tracks state spending. That money is coming under greater scrutiny after complaints from state legislators over a lack of transparency in how it’s given out, criticism from state oversight agencies and the indictments of top state officials and developers involved in projects in Buffalo, Syracuse and Albany. Only a handful of companies have received more in recent years than Corning. 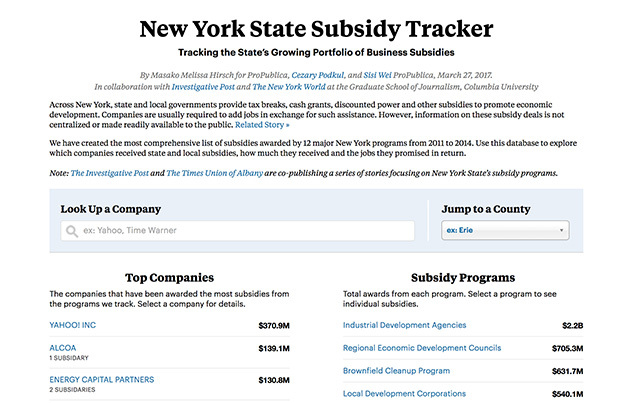 It was awarded $113 million in state and local subsidies between 2009 and 2015, according to an analysis of 12 state economic development programs by Investigative Post, ProPublica and the Columbia University Graduate School of Journalism. The company has used the leverage that comes with being a major employer in a struggling region to secure tax breaks on projects that were in little danger of going anywhere else, such as a child care center and a parking ramp for employees. The subsidies represent a bonus for a company that’s already flourishing, with $9.4 billion in revenues and $1.5 billion in profits last year. Its share price has soared 45 percent in the past year and is trading at a five-year high. The company is also eligible to benefit from Gov. Andrew Cuomo’s 2014 elimination of corporate income tax on manufacturers, as well as a property tax credit introduced that year. Corning illustrates the tradeoffs that come with subsidy deals. Critics argue that subsidy programs sap state and local budgets to create too few jobs, at too high a cost. Still, unlike some high-profile recipients of New York’s tax incentives, Corning has a longstanding commitment to the state and to its eponymous hometown in the Southern Tier. Corning has also mastered the art of obtaining subsidies. With operations in 17 countries, the company can always hint that it might put new facilities elsewhere if New York doesn’t offer enough. And New York isn’t the only state prepared to pay up — Corning has also received subsidies for facilities in North Carolina, Kentucky and Maine. Economic development agencies have given Corning not only subsidies, but a voice in shaping economic development policy in the Southern Tier. One Corning executive serves on the governing board of the local industrial development agency; another co-chairs the Southern Tier Regional Economic Development Council. The regional council has recommended that Corning receive state grants, while the IDA has granted tax abatements to around half the company’s properties in the Corning area. That saves the company approximately $1.5 million a year in property taxes alone — money that would otherwise go to the local school district city, and county. Still, for Steuben County and the Southern Tier, the risk of Corning cutting back outweighs the cost of the subsidies the company receives. “Any time you have a large surviving employer in a depressed regional economy, it’s very hard for public officials to say no,” said Greg LeRoy, executive director of subsidy research group Good Jobs First. Company executives say taking advantage of subsidy programs is simply part of staying competitive. “At the end of the day, we have a fiduciary responsibility to our shareholders,” Tranter said. In Corning, it’s hard to tell where the town ends and the company begins. Founded in 1851 as a glassmaker — famously providing light bulbs for Thomas Edison — Corning Inc. now makes high-tech products like optical fiber, ceramics for catalytic convertors and the extra-strong glass used in smartphones and tablets. 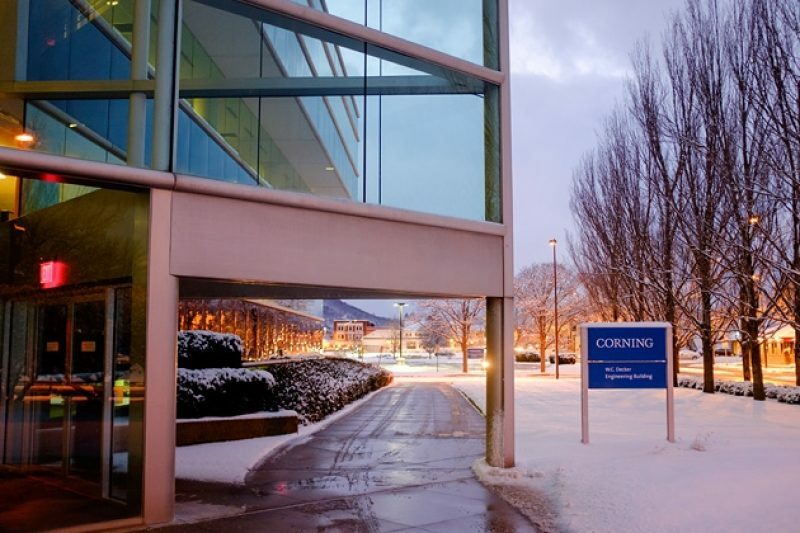 Corning is one of only two Fortune 500 companies headquartered in upstate New York. The Corning area is a rare bright spot in the Southern Tier economy, which continues to lag behind most of the state. While other companies have downsized or left the region altogether, Corning has not only stayed but continued to add jobs, delivering on the promises made in exchange for state and local assistance. More than half of the 1,500 U.S. jobs Corning has added since 2009 have been in New York, where the company’s workforce currently stands at 5,800 — mostly in the Corning area. Most of the company’s job growth, however, continues to take place abroad; only one-third of Corning’s 35,700 employees work in the U.S.
State and local governments across the country have long offered financial incentives to businesses to relocate or expand operations, although experts caution that taxpayers are unlikely to break even on deals where the cost of each job saved or created runs to hundreds of thousands of dollars. New York hands out tax breaks and other benefits to companies that have run afoul of federal regulators. Read the story. Locals focus less on what the company gets and more on what it gives. As well as being an anchor of the regional economy, Corning is a good corporate citizen, donating to local charities and schools and investing in the city’s business district. 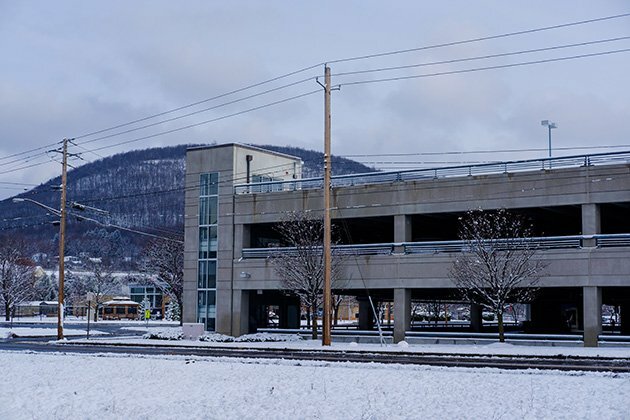 In downtown Corning, where the company’s sleek glass office buildings line the Chemung River, its influence is unmistakable. Unlike the faded main drags of so many upstate towns, the quaint storefronts along Market Street are bustling, buoyed by the six-figure average salaries of company employees. At one end of the street is a hotel complex the company paid to renovate in the aftermath of Hurricane Agnes, which devastated the area in 1972. At the other is a giant Wegmans grocery store, which Corning executives helped bring to town in the 1980s — the first branch in the Southern Tier. At the time, some shareholders criticized the company for spending too much on community investment. 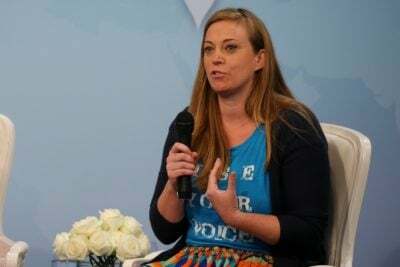 “In a small town, if the company doesn’t take a large stake in maintaining the quality of the community, we won’t attract the right kind of professionals,” said Daniel Collins, the company’s vice president of corporate communications. Across the country, local officials like Rita McCarthy make the same argument to explain why taxpayers should subsidize large, successful corporations: Otherwise, they will move, or expand, elsewhere. “Those jobs were going to China, were it not for the incentives,” McCarthy said of the $85 million Corning received to expand its factory in Erwin. Her fears may have been justified. As with most major expansions, Corning hired a site selection consultant to find out how much competing communities were prepared to offer in financial incentives. Company executives said that China, a key market for the product made at the factory, also offered a lucrative subsidy package for the plant. The company has 11 facilities in China and Taiwan that employ roughly 5,000 people, almost as many as in New York. And most of the company’s recent job growth has taken place outside the U.S. Of the 12,200 jobs Corning has added since 2010, 85 percent have been abroad, where many of the company’s biggest customers are located and the cost of doing business is lower. The plant had already received one round of tax breaks, worth at least $2.3 million, when it was built 10 years earlier. Company representatives said the subsidies were needed to offset the high cost of doing business in New York. The expansion “could have gone anywhere,” said Tranter. Still, of all the factors the company considers when choosing where to expand, he said, the most important is the availability of a skilled workforce — which the Corning area offers. And, he added, there are advantages to putting new facilities close to the company’s R&D operations, which are clustered in and around Corning. Some experts say companies tend to exaggerate the role subsidies play in their choice of location. When it comes to moving jobs overseas, any tax breaks offered are dwarfed by savings on cheaper labor costs, said LeRoy of Good Jobs First. A sizeable chunk of the subsidies for the Erwin expansion came from the Steuben County Industrial Development Agency, which awards more tax breaks to Corning than any other company. The company’s projects, mostly research facilities and manufacturing plants, received $30 million in tax breaks between 2009 and 2014 — almost 40 percent of the value of all abatements the IDA gave out in that time. Corning has a close relationship with the economic development agency: The company has had a seat on the IDA board since at least 1985. The IDA’s current executive director, James Johnson, said it was important that the board reflect the interests of the local community. “It makes sense to have a representative from Corning on the board — it doesn’t mean they get special treatment,” he said. 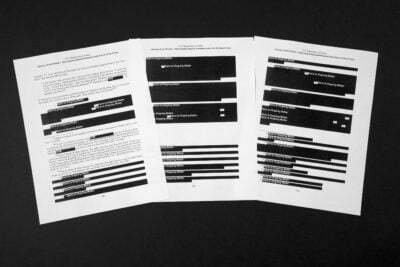 Corning employees recuse themselves from votes on the company’s projects, IDA records show. And the employees who have sat on the IDA board don’t make decisions about projects receiving IDA incentives in their work for the company, according to Corning’s applications for tax breaks. But, in 2008, when Corning asked the IDA for tax breaks on a new construction project, the application was signed by Richard Weakland, who sat on the IDA board at the time. He also headed the Corning subsidiary that owned the land the company was seeking tax breaks to build on. Neither Weakland, nor James Sherron — who was the executive director of the IDA at the time — could be reached for comment. Company representatives insist that the projects currently receiving tax breaks would never have gone ahead in Steuben County without help from the IDA. That’s more plausible for some — like high-tech research facilities that require significant investment from the company — than for others. For example, the IDA has also approved tax breaks for Corning to build a child care center, where around half of the children have parents who work for the company, and a parking ramp reserved for its employees — facilities that serve the local workforce and could not be moved elsewhere. That parking ramp created 555 new jobs in 2014, the IDA reported to the state — an abrupt increase, since no one had been recorded as working there for the previous five years. IDA staff arrived at that figure by counting employees at company buildings nearby that use the parking ramp, an approach criticized by officials at the Authorities Budget Office. Corning won’t pay full property taxes on the structure until 2022. The county IDA isn’t the only economic development entity where Corning has a seat at the table. At the Southern Tier Regional Economic Development Council, Tranter is one of two co-chairs handpicked by the governor’s office. The 10 regional councils, made up of local officials, business executives and representatives from colleges and universities, compete to win state funding for their economic development plans. The councils make recommendations to state agencies about which projects should receive funding; the Cuomo administration has the final say. The annual award ceremonies in Albany have the feel of a game show, complete with slick promotional videos and upbeat slogans (“Southern Tier Soaring”). 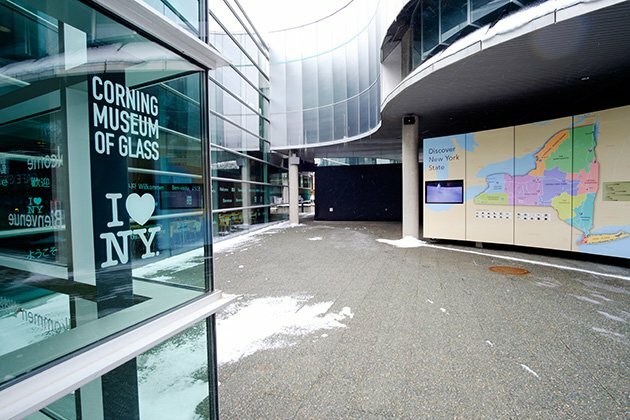 The Southern Tier has done well, frequently designated a “top performer.” Corning — and the Corning Museum of Glass, founded in 1951 as the company’s “gift to the nation” — have been successful, too, winning a combined $4.8 million so far. That includes $1.5 million towards the cost of a new entrance for the museum, complete with a large interactive map of the state, and a $275,000 grant for a mobile glass-blowing studio on a canal barge, to celebrate this year’s bicentennial of the Erie Canal, as well as grants for Corning’s expansion in Erwin. It’s not unusual for board members and co-chairs to represent organizations that also receive funding from the regional councils — Tranter is one of at least six on the Southern Tier council to have done so. Critics say this is an inevitable conflict of interest. “Are you really telling me they can’t find enough people with the expertise to judge it whose business is not receiving REDC funds?” said John Kaehny, executive director of Reinvent Albany, a good government group. Tranter said he recused himself from discussions of any funding for Corning and the Corning Museum of Glass, and that the council’s co-chairs cannot vote to approve projects. “Not only did I not get to vote, but when they discussed the Corning project I left the room and they still picked it to be number one,” he said, describing the $3 million in grants the regional council gave Corning for the expansion in Erwin. Corning Inc.’s reduced property taxes mean less tax revenue for nearby municipalities, at least in the short term. But the company has, at times, given more in grants from its foundation than it has received in tax breaks. In 2010, when the local school district was facing a serious budget gap after a cut in state aid, the company’s foundation stepped in to make up the difference, giving the district more than $14 million over the next four years. The money didn’t save the district from making cuts altogether but did allow it to maintain programs like special education, counseling and extracurriculars, said Michael Ginalski, the district superintendent. “If it weren’t for that money, this would be a completely different school district,” he said. Still, while the City of Corning is thriving compared to many others in the Southern Tier, it’s not immune to the economic pressures facing local governments across upstate: a stagnant tax base, rising pension costs and a limited ability to increase revenues due to the state property tax cap. In 2010, facing a $1.8 million gap, the city increased property taxes, introduced new municipal fees and laid off 12 full-time employees. “These were hardworking, valued employees that we can no longer afford,” City Manager Mark Ryckman told a State Assembly committee last February. Despite the cuts, the city “continues to struggle to pay for basic city services while meeting our infrastructure needs,” he said. Ryckman did not respond to interview requests. Between 2009 and 2014, Corning’s property tax breaks saved the company — and cost the city — $590,000, according to state reports. For Corning Inc., that’s a drop in the ocean of the company’s annual revenues. For the city of Corning, that could cover the salaries of half a dozen municipal employees. Some say the company is taking with one hand and giving with the other. Charlotte Keith is a reporter for Investigative Post. 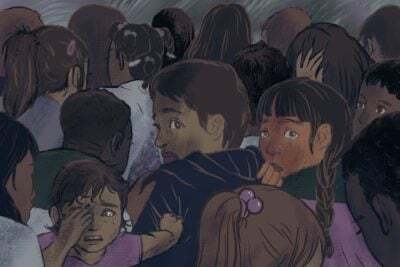 Masako Melissa Hirsch is a graduate of Columbia University's Journalism School and her work for this project was supported by The New York World and the Stabile Center for Investigative Journalism.